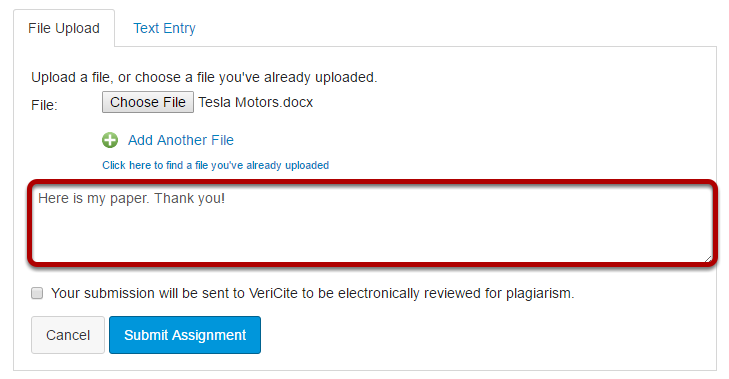 VeriCite DocumentationUser GuidesCanvas User Guide Native Integration - Student ArticlesHow do I submit my paper to VeriCite? 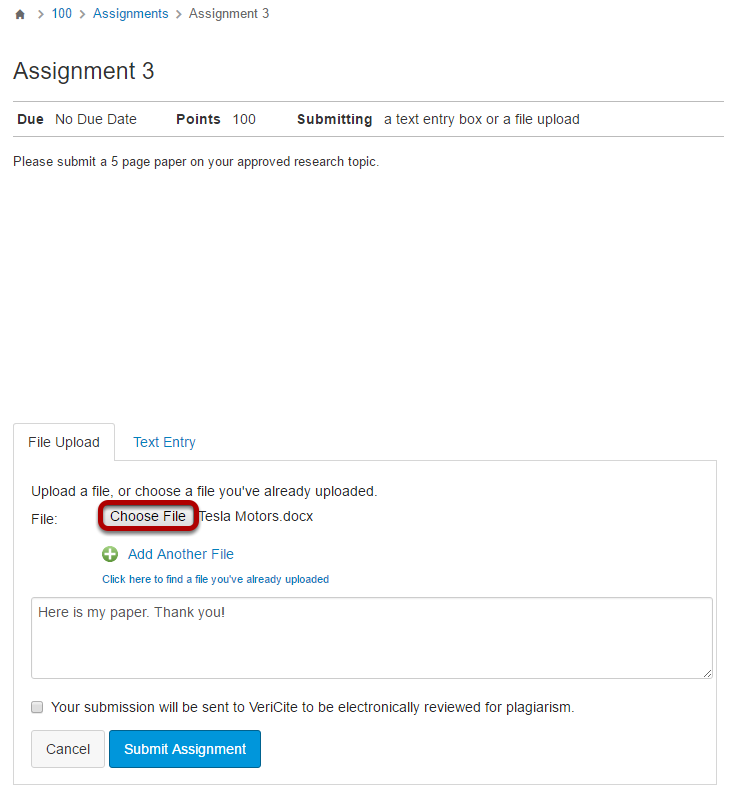 Click the Choose File button to locate the file on your computer and select it for upload. 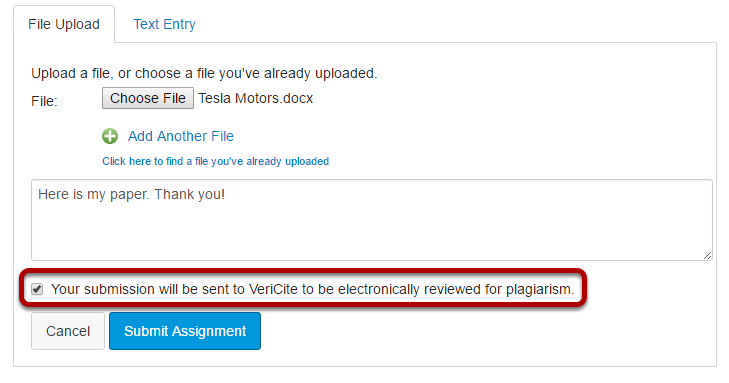 Your institution may require you to acknowledge that your paper is being submitted to a plagiarism service. 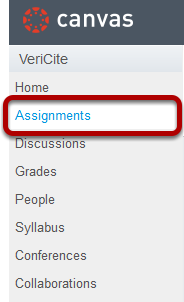 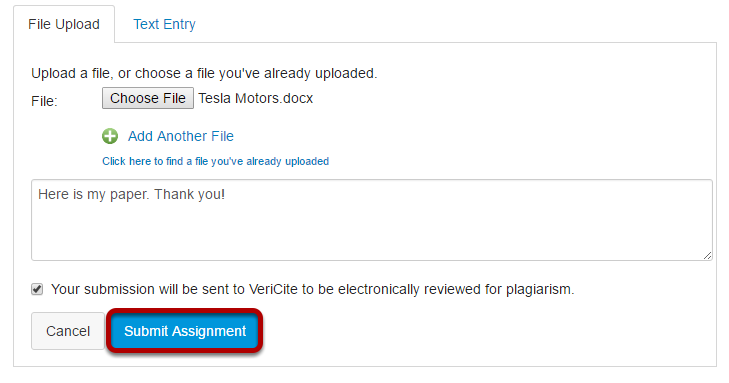 If you see a VeriCite statement with a check box, you will need to check the box before you can submit your assignment.